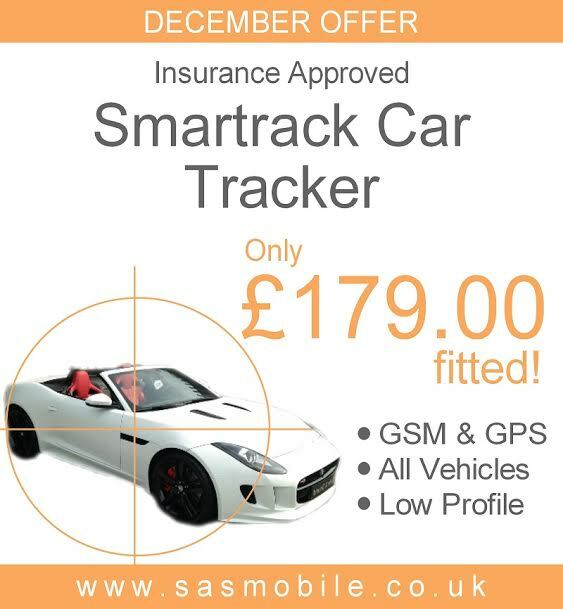 If you’re wondering what to get the person who has everything, why not go for a Smartrack car tracker complete with FREE vehicle locating APP to help keep their pride and joy safe. This state-of-the-art vehicle tracker is the most covert system available and will help to increase the chances of recovery should the vehicle fitted with the device is stolen! It’s perfect for extra piece of mind and it’s suitable for all vehicles from cars and vans to motorhomes and HGV’s. The system will be monitored 24 hours a day from a secure control centre, so even if the vehicle moves without the ignition on, you will know about it! • Full VAT invoice provided. • Most covert system available. Get in touch with us via phone, email, contact form, Twitter or Facebook and quote ‘TRACKER OFFER’ to get started! All enquiries welcome. Offer ends Friday 19th December! Additional fees: To use the Smartrack Protector Pro Tracker service, an annual subscription fee of £149 (per year) is required – Alternatively, you can simply make a one off payment of £399 for the duration of ownership of the vehicle. This will help to increase the chances of recovery should the worst happen and the vehicle is stolen. Stuck for Xmas present ideas? Why not go for the Parrott CK3100 Handsfree Car Kit and make someone’s live much more convenient and safer when travelling on the road. Need to take a call? No problem. Enjoy Bluetooth capability and keep your hands on the wheel as you talk through a noise-cancelling microphone. The kit will be integrated into your existing factory fitted speakers, so you won’t have a problem hearing what’s being said down the line even on a busy motorway. Enjoy the convenience of voice recognition, and LCD display with calls register, phonebook and missed calls. Audible menus will also make life easier and best of all it’s suitable for all vehicles! Get in touch with us via phone, email, contact form, Twitter or Facebook and quote ‘HANDSFREE OFFER’ to get started! All enquiries welcome.